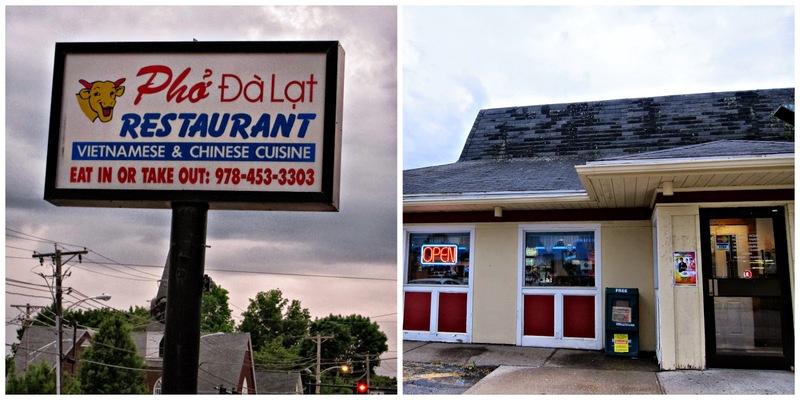 Since most of the Cambodian mom and pop's shops close around 7-8 O' clock-ish, the Mo and I headed to Pho Dalat on Middlesex street for dinner. It was quiet when we arrived past 8 PM on a Friday night. We were quickly brought menus and iced water. If you read my review of their original location on Middlesex street, I will remind you that we like their fried calamari. The Mo and I started off with an order. The sizes of the squid pieces were colossal. 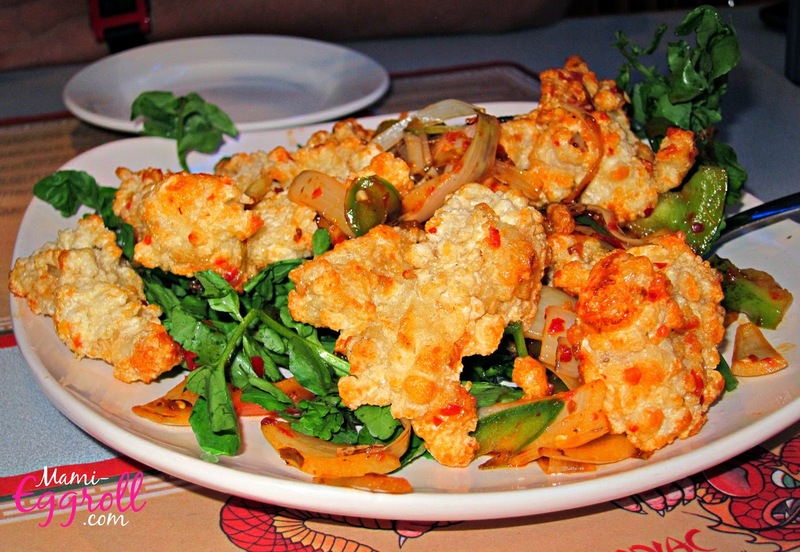 They were battered to a crispy perfection and tossed with a garlic chili sauce. 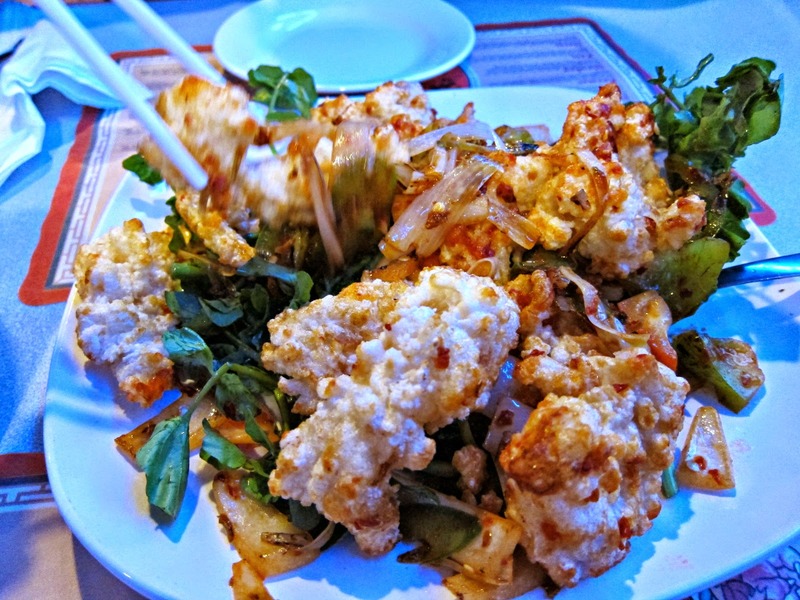 We asked for extra sweet nuoc mam Vietnamese fish sauce for dipping. The Mo stuck with pho and got the rare steak and meatballs medium size bowl. 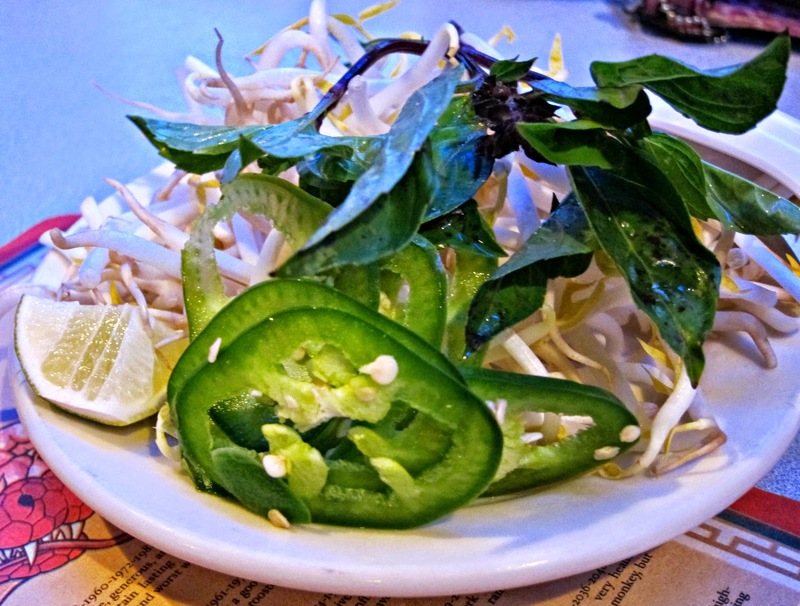 It came with the usual Thai basil, beansprouts and lime wedges to compliment the noodle soup. 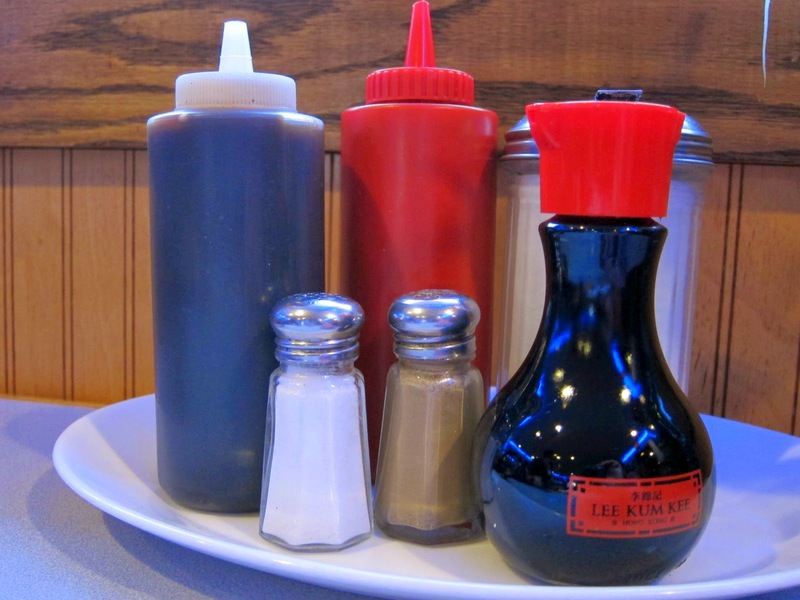 There was also the customary hoison sauce, sriracha hot sauce, salt, pepper and sugar served table side. 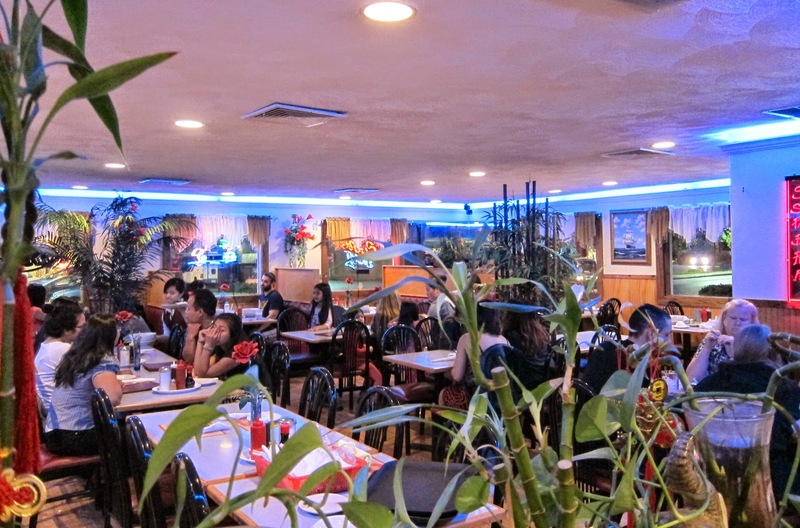 Every time my I go to Chinatown NYC with my sister's family, we always eat at a Vietnamese restaurant. 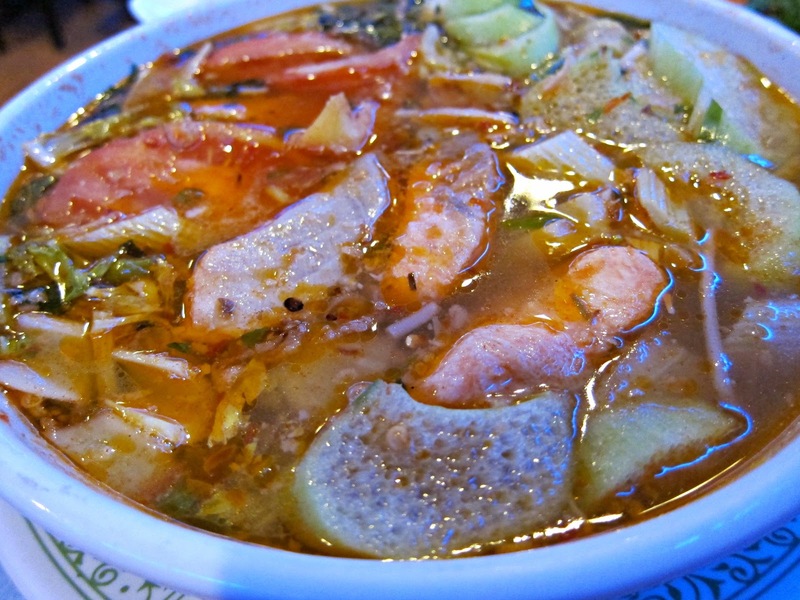 We always get the Canh Chua Vietnamese sweet and sour fish soup and it always hits the spot. My mother also makes a similar Cambodian version of the soup with chicken and shrimp sans the bean sprouts. 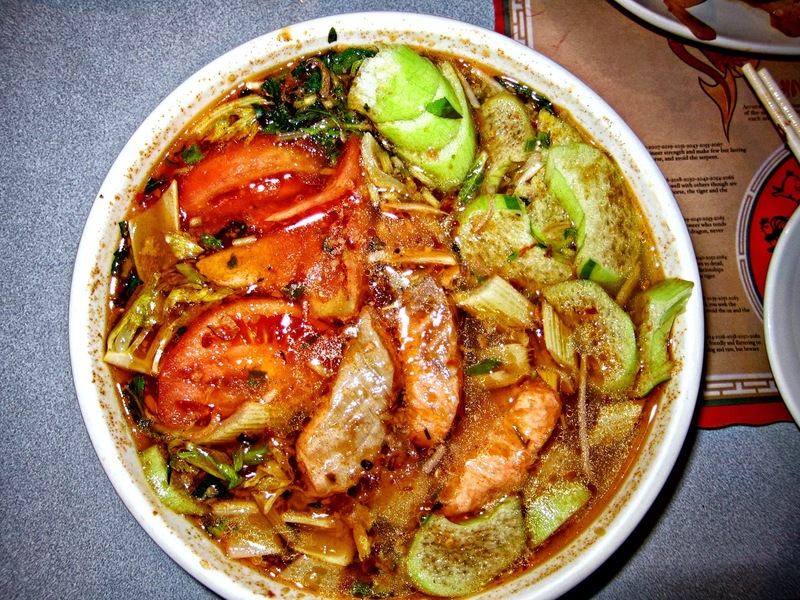 "Hot, Sweet & Sour Soup - Canh Chua With a choice of farm raised catfish, salmon, shrimp or chicken breast with bean sprouts, chunks of pineapple, fresh tomatoes, celery and basil in an aromatic spicy broth. Served with steamed white rice on the side." I ordered the Canh Chua with salmon fish. There were generous portions of salmon, probably about almost a whole pound in the soup. The soup was served with a bowl of white rice. It was very tasty; there were lots of fried garlic and pineapples, which I LOVE! There was enough soup for 2 more days of leftover soup. 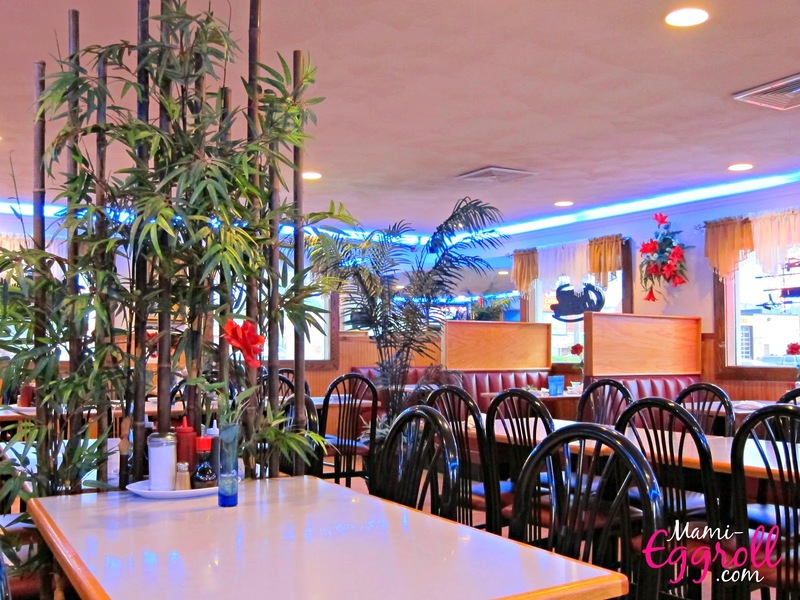 Since the Chelmsford street location is open until 10:00 PM, the restaurant started to get busy as we were leaving. 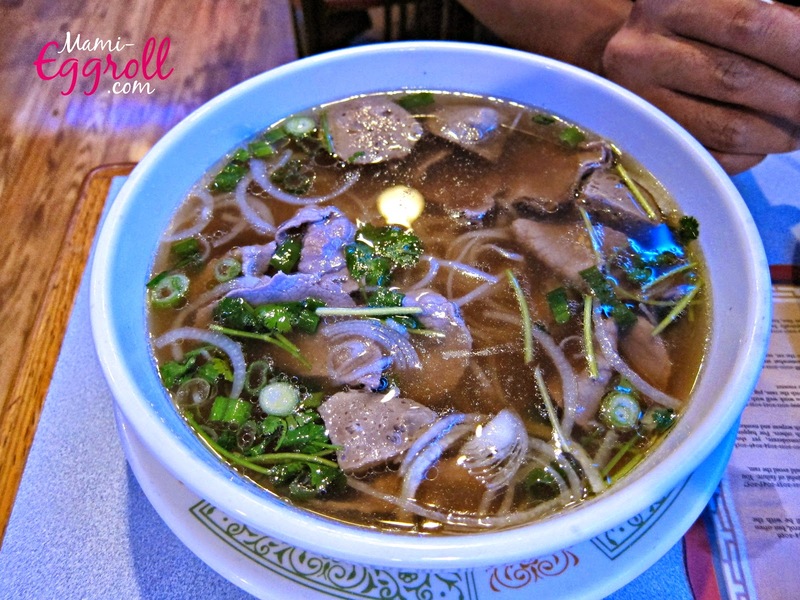 I guess everyone needs a little "pho fix" every so often.